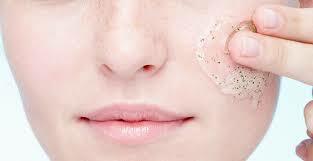 Exfoliators are best used two to three times a week at most, not every day. The goal of exfoliators is to remove dead skin cells, but if you use them too much, you’re stripping your healthy skin underneath! This can lead to dry skin, extra oil production, and breakouts! Because you sleep on your pillowcase, you get oil and other gross stuff on there! A buildup of oil and makeup on your pillow can cause clogged pores, leading to breakouts! Ideally, you should be changing your pillowcase at least once a week. Overloading your skin with moisturizer, for example, can overwhelm your skin and cause clogged pores. A coin-sized amount of product is ideal. Using toner is also important because it allows your skin to absorb products better.